THE LANCET INFECTIOUS DISEASES TUBERCULOSIS SERIES FOR WORLD TB DAY MARCH 2018. Guest Editor: Sir/Prof Alimuddin Zumla. This Series of two ‘state of the art’ reviews and one Comment on the high level United Nations General Assembly meeting in New York in September 2018. 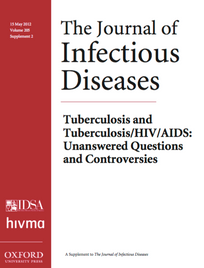 The two reviews cover: a) developmental pipeline and landscape of new and repurposed tuberculosis drugs, treatment regimens, and host-directed therapies for drug-sensitive and drug-resistant tuberculosis, and b), the Series reviews developments and key achievements in the search for new tuberculosis diagnostics and biomarkers. Migliori. Huge volume of 44 articles written by over 200 global authors. Launched at World TB Day event at Royal Society of Medicine, London and UCL IGH, UK (March 24th, 2017). CLINICAL INFECTIOUS DISEASES- ADVANCES IN TB RESEARCH: A BLUEPRINT FOR OPPORTUNITIES - 2015. Advances in TB Research: A blueprint for opportunities. Guest Editors: Dr Marco Schito (NIH/CPTR); Markus Maeurer and Alimuddin Zumla. A 16 article volume. This supplement provides an update on the status of Mycobacterium tuberculosis (Mtb) research for drugs, vaccines, and diagnostics, and the intersection of these disciplines to better understand tuberculosis disease pathogenesis. Interest remains high in using cellular therapy and harnessing regulatory networks to either suppress Mtb growth or alleviate pathology due to host–pathogen interactions. In addition, epidemiological disease modeling, diagnostic impact assessment, the search for novel biomarkers, and regulatory challenges are highlighted separately. Advances in pediatrics include updates to the National Institutes of Health case definitions and a roadmap to meet the diagnostic needs. March 24th, World TB Day issue (Chief Editor with co-editors Eskild Petersen, Markus Maeurer, Jeremiah Chakaya, Christian Wejse, Ben Marais, Marc Lipman, Tim McHugh. 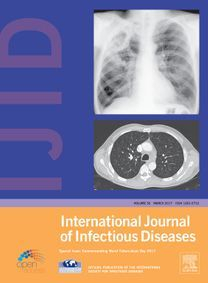 The issue contained 33 articles written by over 200 global authors and is featured as part of a multi-journal virtual special issue published by Elsevier to commemorate World TB Day 2015. These state of the art reports, led by Professor Ziad Memish, Deputy Minister of Health for Public Health in Saudi Arabia, and Professor Alimuddin Zumla, at University College London Medical School, UK, set out the planning and surveillance systems used to monitor public health risks, and describe the public health experiences and lessons learnt for the planning of future events. Contains series of papers on mass gatherings and public health: i). The London 2012 Olympic and Paralympic Games; ii). The 2012 European Football Championship finals (Euro 2012), hosted jointly by Poland and Ukraine; and iii). The Hajj 2012/2013. Launched at the World Health Assembly of Ministers of Health, Geneva, May 26th 2014. 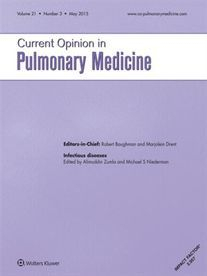 This volume contains five Comments and three Reviews, and discusses topics ranging from host-directed therapies and vaccines, extremely drug-resistant tuberculosis, and new anti-tuberculosis drugs, highlighting not only past successes, but also the challenges that need to be met to win the battle against tuberculosis. 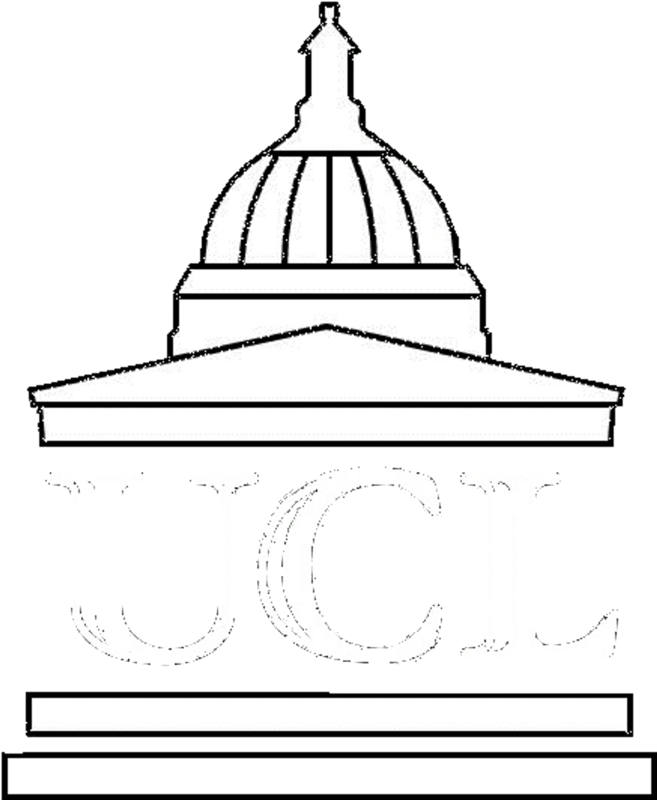 Launched at the UCL/LSHTM global symposium on TB at the LSHTM March 24th,2014. 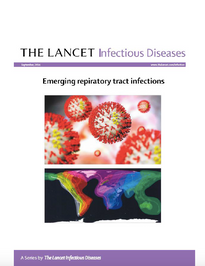 THE LANCET INFECTIOUS DISEASES THEME SERIES on emerging respiratory tract infections (2014). Contains five state-of-the-art papers on the topics of surveillance, pandemic potential, transmission and the environment, diagnosis, and treatment. The focus is on the emerging viral pathogens (particularly influenza, coronaviruses, MDR-TB and antimicrobial resistant fungi and bacteria) that pose the greatest current global threat. Launched at ICAAC, Washington, September 3rd,2014. 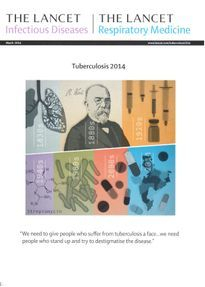 THE LANCET INFECTIOUS DISEASES TB THEME SERIES to commemorate World TB Day (2013). Commissioned by the Lancet Infectious Diseases Editor Dr John McConnell to Prof Zumla and Dr Marco Schito of NIH, Washington DC to lead this series of 6 state of the art review, and 3 viewpoint articles. All articles were peer reviewed this series will be published in LID and will be launched at World TB Day event to be held at UCL on Monday March 25th 2013. Several international speakers, guests and members of the APPG-GTB and APPG-Global Health attended. 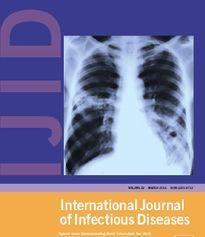 THE JOURNAL OF INFECTIOUS DISEASES to commemorate World TB Day (2012). THE LANCET TB THEME SERIES to commemorate World TB Day (2010). 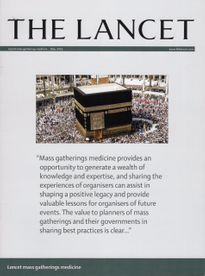 In 2008, the Editors of the Lancet TB Richard Horton and Pamela Das, in search of a lead internationally acclaimed ‘guru’ to lead a TB Series Theme Series of 7 articles and 7 commentaries, upon advice from external advisers, selected and requested Professor Ali Zumla to lead the LANCET series in a multi-author theme volume of 8 major state of the art review articles and 6 commentaries Professor Zumla and took on Professors Mario Raviglione, Director of WHO STOP TB Partnership in Geneva, and Professor Ben Marais (TB paediatrician from South Africa) as co-gurus and they developed, led and coordinated the entire series over 2 years. 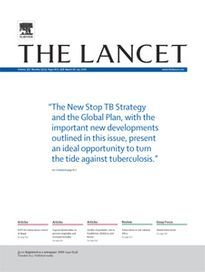 The Lancet TB Theme Series (2010) was launched at the World Health Assembly of Ministers of Health from 194 countries in Geneva on May 17th 2010. This series has provided excellent advocacy for TB and generated large investments of TB funding for R&D priorities and operational research. 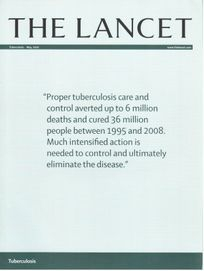 THE LANCET TB THEME SERIES to commemorate World TB Day (2006). Professor Zumla led and developed this initiative of a Lancet issue focussed on a TB Theme consisting of 11 Essays on a range of important subjects related to Tuberculosis written by global experts. This provided excellent advocacy and was published a week prior to World TB Day March 24th, 2006, which was then done after a high profile launch attended by Dr Mario Raviglione Director of the WHO STOP TB department. Details of the volume and it’s launch with interviews are found on on website: http://www.thelancet.com/themed-tuberculosis. On Thursday March 16, 2006 WHO and The Lancet held a joint press conference to launch the new Stop TB Strategy and to summarise the Essay Focus. Mario Raviglione from WHO and Alimuddin Zumla from the Centre for Infectious Diseases and International Health, University College London, UK, spoke at the conference which was chaired by Lancet Deputy Editor Astrid James. Dr Zoe Mullan and Professor Zumla wrote the introductory commentary on these articles and called upon governments and donors to increase the funding required for TB control and research. This was used by the UK Department of International Development, The Global Fund and other donors to focus their priorities in TB and HIV services in SSA countries. 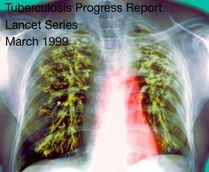 THE LANCET TB THEME SERIES to commemorate World TB Day (1999).